Hello February!!! It’s snowing here today as we just experienced some of the coldest weather in decades!! We had a low of -8 F with windchill of -24 F, but that was nothing compared to the -60 windchill in some of our Northern states. 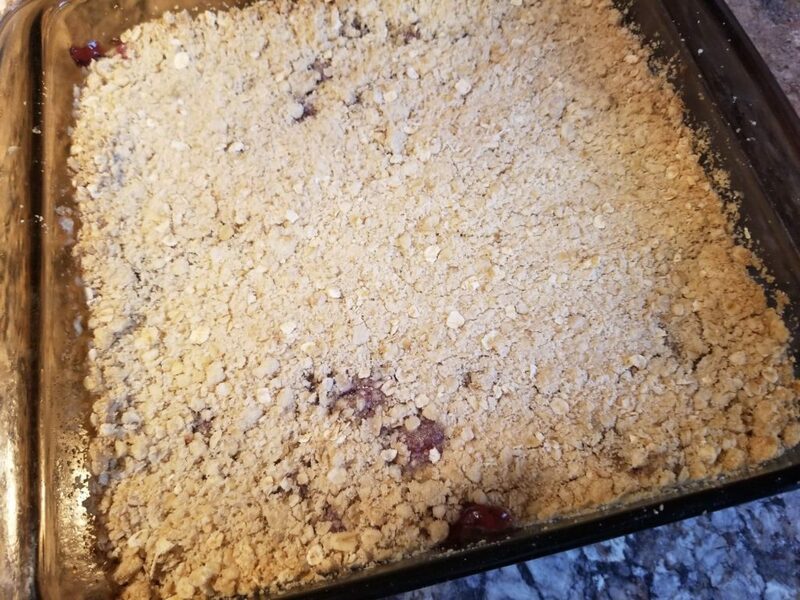 Since I’m kind of snowed in today and it’s Friday, thought I would share this Cherry Crunch recipe I made today. This recipe came from the Cafeteria of the grade school I attended from 1960-1967. (yes, I’m that old, just celebrated my 64th birthday in January.) That was when the cafeteria ladies made our food from scratch! None of the frozen stuff they feed our kids these days. 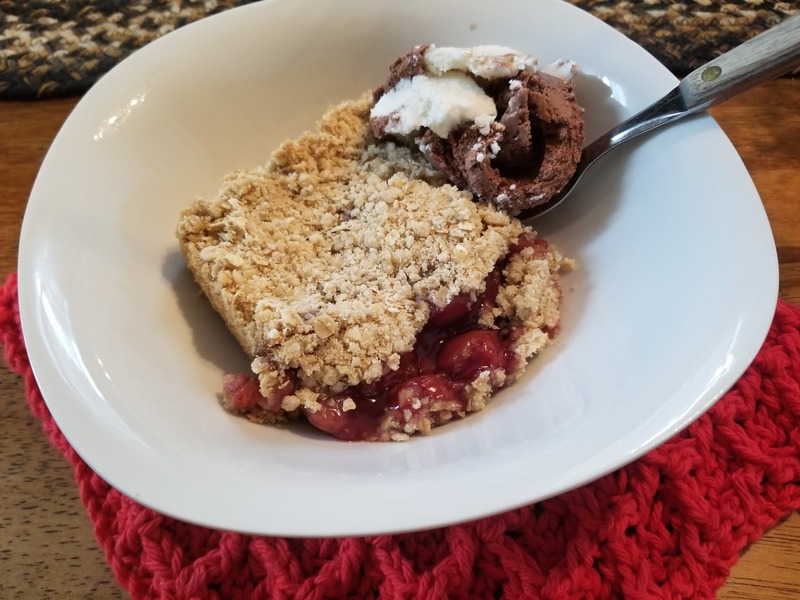 This is the perfect dessert for Valentine’s Day or President’s Day! Speaking of President’s Day, do you know the story of George Washington and the cherry tree? The cherry tree myth is the most well-known and longest enduring legend about George Washington. In the original story, when Washington was six years old he received a hatchet as a gift and damaged his father’s cherry tree. When his father discovered what he had done, he became angry and confronted him. Young George bravely said, “I cannot tell a lie…I did cut it with my hatchet.” Washington’s father embraced him and rejoiced that his son’s honesty was worth more than a thousand trees. Mix everything together except the cherries. 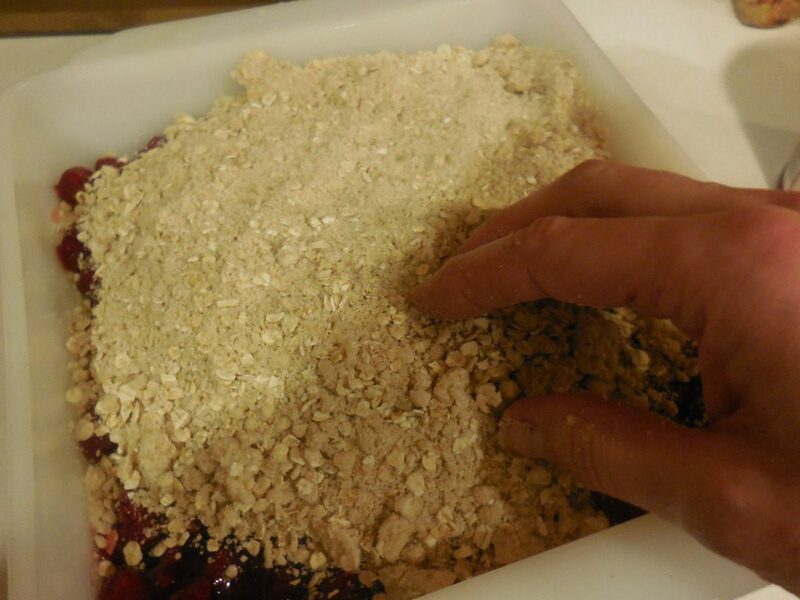 Rub or mix until it looks like crumbs ( I like to get in there with my hands). 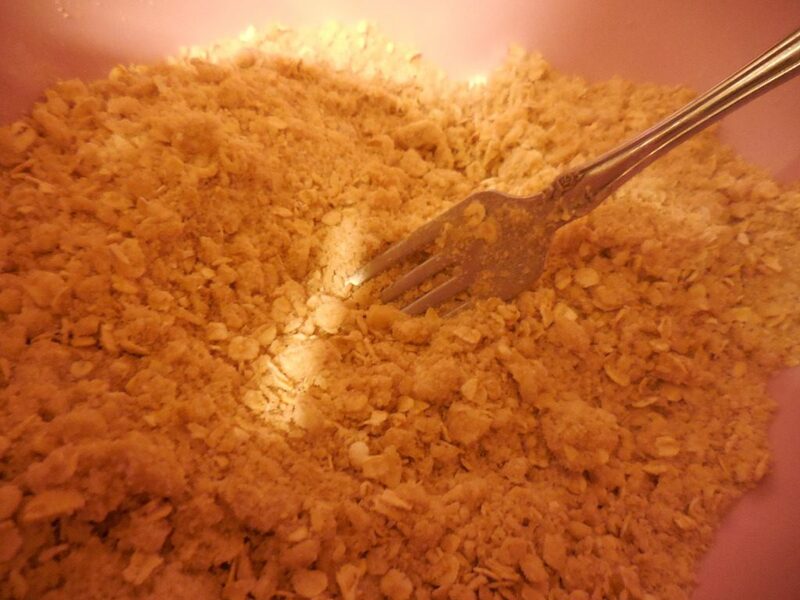 If you don’t have quick oats, you can put some old fashioned oats in your food processor and pulse a few times. 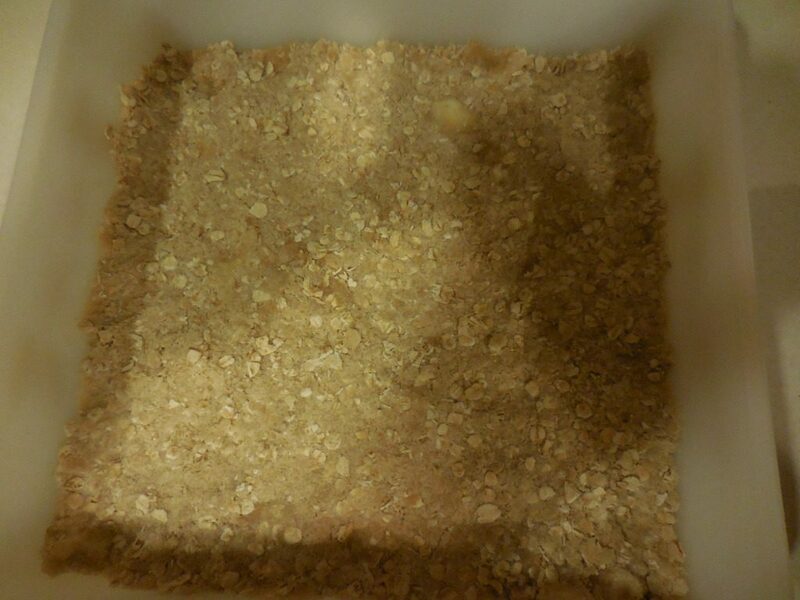 Put 1/2 mixture in bottom of 8 x 8 baking pan, sprayed with cooking spray. You can let it go up the sides a little. 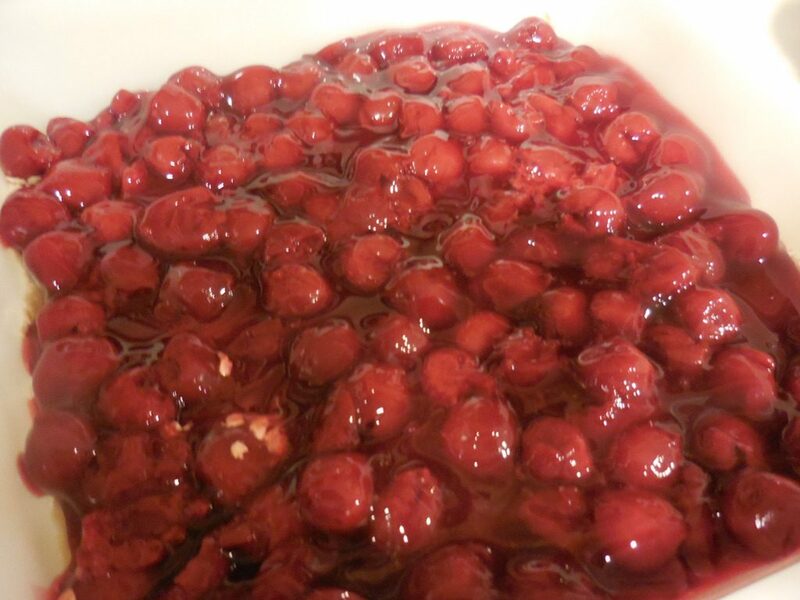 Put cherries over mixture on bottom, . Bake 350 for 30 minutes. You know it’s done when it’s gets a little brown on top and you can see the cherry filling bubbling. Thanks for stopping by today, I hope you are inspired to try this recipe! 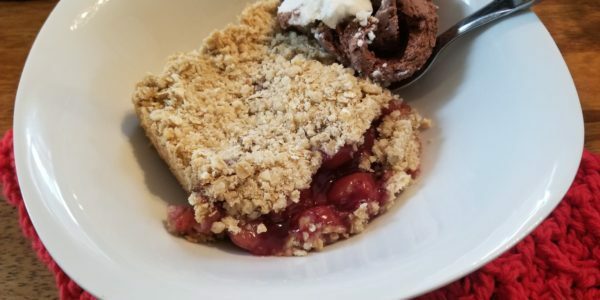 While you are here, take a look at some of my other recipes! 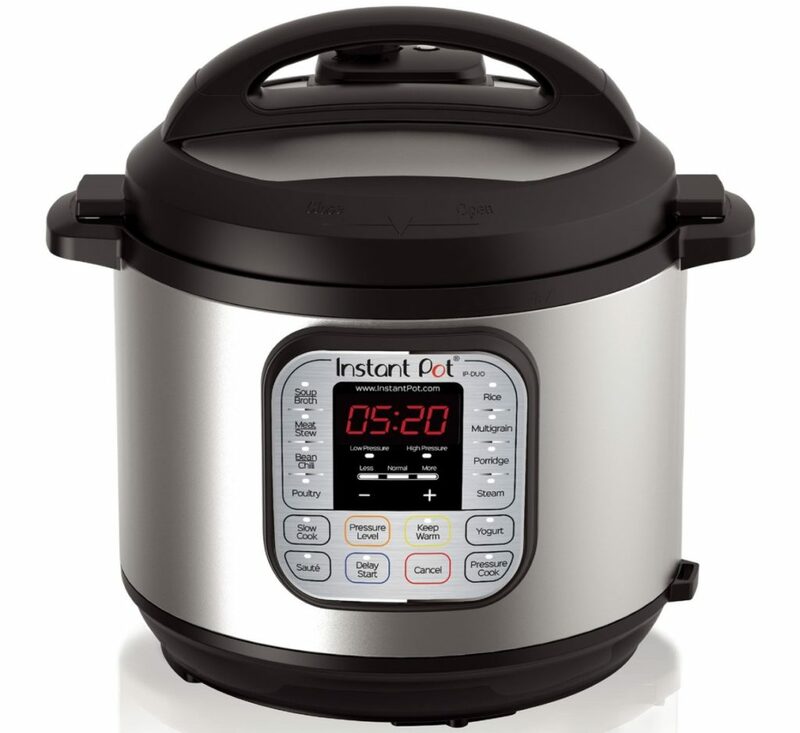 I have several Instant Pot recipes, my most favorite kitchen appliance.